Millennials? Why are we still talking about Millennials? They have been a part of the workforce for almost 15 years. And, sadly, much of what we have been talking about has been just that—TALK! The time to take action is here. Compiled below are the top five ways you can begin managing millennials effectively right now. The time for talk is over—time to start doing! Why now? Well, that sound you hear is the door closing as your tribal knowledge walks out of your company. Baby Boomers are retiring at a rate of 10,000 a day. And your current Gen Xers can only fill about half of those positions—so, unless you are planning to downsize your company—you will need to bring in Millennials to fill those openings. Most companies, however, are horribly behind in their efforts to attract and retain this vital workforce. What they haven’t realized is that the Millennial employee has unique career preferences and ambitions, and it has nothing to do with finding a company that offers a fun culture inclusive of things like riding bikes in the corridors, pizza parties and office game rooms. Millennials are looking for a company that offers tangible benefits and perks that match their life and career goals. Implement these strategies, and you will be ensuring that you have a perfect environment to attract and retain these employees. A whopping 71% of Millennial employees either are not engaged or are actively disengaged at work. How is that impacting your company? It’s likely you are experiencing decreased productivity, higher absenteeism, lower profits. Can your company survive with only 29% of your Millennial workforce emotionally and behaviorally connected? Not likely! And, chances are—they won’t stick around long enough for you to feel the impacts. Six out of 10 Millennials say they are open to a job change, and only 50% had plans to be with their current employer one year from now. So, how do you increase engagement? Provide clear paths for career progression, opportunities for collaboration, mentoring and feedback. According to a recent survey, Millennials want to empower others; 40% said it was their biggest motivator to become a leader. Yet, while they are willing to take on leadership roles, this doesn’t necessarily mean they have the skills to step up. Companies need to balance the desire to give them opportunities to take on leadership roles with providing the training and development support to ensure they obtain the skills to succeed. The best thing that you can do to demonstrate your investment in Millennials becoming leaders in your company is to train and develop them, including offering many opportunities for coaching and mentoring. Unsurprisingly, work-life balance is perhaps one of the biggest impacts on employee retention. A survey conducted by Pinpoint Market Research and Anderson Jones PR found that 88% of the Millennial respondents said they seek a consistent balance between their job and home life. Work-life balance is even more important than pay: Nearly half of the respondents said they’d sacrifice a higher salary if it meant they could work less. And if they don’t find it? They’ll work for someone else—57% of Millennials would leave a job that doesn’t offer the work-life balance they want. One of the biggest misconceptions about Millennials is that they are not driven by money. However, they are not really all that different from previous generations when it comes to compensation. A majority—68%—of Millennials say compensation is an important aspect of their workplace. Competitive wages and other financial incentives can be used to increase loyalty with an organization. Compensation can also be one of the biggest reasons you lose these employees. A significant 37% of Millennials report that they would change jobs because they believe they can make more money elsewhere. 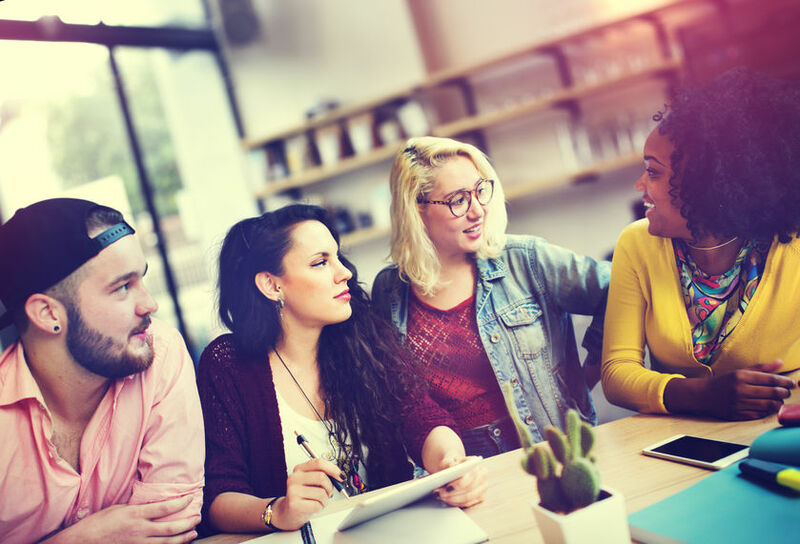 Prevent Millennial-employee churn in your organization by investing in them and offering them clear paths to develop skills that will enable them to be promoted (and reach a higher level of pay). Compensation, work-life balance and professional development are extremely important to Millennials. However, companies that don’t include social responsibility as part of the incentive package may fall short in finding highly talented Millennials willing to join and stay with their organization. Companies that build a culture of responsibility as a core value enjoy increased loyalty and optimism from their Millennial employees. By supporting opportunities for employees to actively participate in, company-sponsored social responsibility programs, companies can expect to gain productivity, engagement and retention. At a cost of up to $25,000 to replace a Millennial, can you afford to lose half of your Millennials in the next year? If not, you’ll want to focus your retention efforts on helping them develop deeper relationships with colleagues, increase opportunities for professional development, and offer opportunities to balance life and engage in meaningful activities. These are a just a few of the ways you can attract and retain this talented generation. If you’re interested in learning more useful tips to help guide your organization, stay tuned for The Manager’s Guide to Unleashing the Intrapreneur (launching Oct. 26, 2017). And if you are looking to help your Millennial employees drive their career forward in a meaningful way, I invite you to take a look inside my book Unleashing the Intrapreneur, Changing the Face of Corporate America (download a free chapter here). Debbie Wooldridge is the founding president and CEO of DW Training and Development, Inc., dba ttcInnovations, which provides businesses with engaging learning solutions that adopt a host of performance support options. Debbie’s company has also created The Millennial Project. Debbie currently lives in Carlsbad, California, with her husband and is a mother to twin Millennials.